Very witty poems about cars with extremely appropriate and imaginative pictures. You can tell that the three creators of the book really worked together. Boys may be especially interested. How should a nice, young teacher deal with a class who uniformly behaves terribly? Miss Nelson has an original idea, brining in the meanest substitute teacher ever, Miss Viola Swamp. Very funny poems that will really make you and your kids laugh out loud. 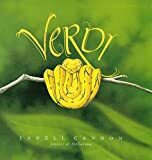 This book a a great early read-aloud. Almost every page has beautiful, author illustrated pictures, and the text is very poetical. The author is not afraid to invent quite a few nonsense words to keep the rhythm. Wouldn't it be great if food fell from the sky instead of rain or snow. For the most part, it would be great. But what happens when the weather turns crazy (Global Warming)? The people of the town of Chewandswallow find out when too much food starts falling from the sky. This is a rare book where not only is the story compelling, but the pictures of giant food falling from the sky are great. It teaches the lesson that too much of a good thing is not good. Pete is a perfectly predictable pig living alone. 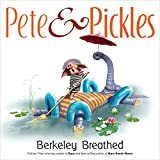 Pickles, an escaped circus elephant moves in, uninvited, to Pete's home. At first they don't get a long very well, but soon Pete realizes that he was lonely before. I am always amazed when a single person can both write a really good book and draw amazing pictures. Here, Breen does both. Violet is a girl who is also a mechanical genius. Her family owns a junk yard and she dreams of building an airplane; and she does. Unfortunately, pretty much like real life, she doesn't fit in in school, and is teased mercilessly: her only friend is her dog. Don't worry though, since this is a kids book there is a happy ending. In order to bully the narrater, Ed, an older cousin constantly tells some tall tales. Most of the time the narrater doesn't believe them, like 'Please don't eat that piece of pie; That piece of pie could make you die! It's full of poison, through and through; It might just be the end of you!' but every once in a while Ed does say something truthful. The pictures are funny: in the car, while the narrater is believing a tall tale, the picture where the father is rolling his eyes is hilarious. In the end, of course, the narrater turns the tables and spins a tale of his own. The fact that the book is in rhyme brings the author to Seuss status. A young bat is separated from her mother and, for a short time, raised in a bird's nest. The bat has to learn to eat worms, fly during the day, and not sleep hanging upside down (the mother bird doesn't like the bad example it sets). This book teaches a valuable lesson: respect and appreciate differences of living beings. A young snake doesn't want to grow up. He sees the mature snakes sitting around all day, living a boring life. He vows never to grow old like that. Well, he does grow old, but somehow, he stays young at heart. The pictures are wonderful. 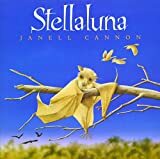 Cannon's more famous book is Stellaluna, but I think Verdi is much better. Gator is a carousel animal. His amusement park as closed down and he is lonely and bored sitting around doing nothing. So he decides to leave his park, and see the world. When he leaves the carousel, there is a little hole in his heart where the the carousel pole was. As you might except, the story comes FULL CIRCLE (no pun intended) and he returns home to the park, though he does learn a few new things about the world. Clever Cat is ill treated. No one feeds him, unless he starts begging: then he is fed with a cold hand. Finally he has had enough, he starts to feed himself (he is clever), taking responsibility for himself. In the end, he realizes that it is easier to beg. It's a cute story with a strange, subtle lesson. 'June 15, My older sister thinks she's so pretty. I told her that no matter how much time she spends looking in the mirror, her face will always look just like her rear end.' The book is filled with clever, funny lines like that. This book will definitely make you laugh. See also; Diary of a Fly, and Diary of a Spider, by the same authors. A poor old couple, on the verge of starving, find a magical pot that doubles whatever they put inside it. The story sneakily teaches the concept of two raised to the n-th power, doubling an doubling,... The book is funny and interesting. If you like moral/lesson books, this series is for you (Gilbert Series). Degroat is a very talented author and illustrator. Most moral books are pretty boring. Hers are not. The plots are complicated enough to entertain the adult (at least through a few readings). Check these out at your local library. A very clever, sophisticated, rhythmic, non-annoying rhyming book. Let us face it, it is hard to combine big words, a story, a nice rhythm, and great pictures. But they do it. 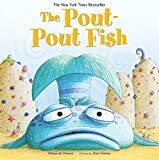 I love the refrain: I'm a pout-pout fish, With a pout-pout face, So I spread the dreary-wearies, All over the place. Mrs. McBloom is retiring after 50 years as an elementary school teacher. She has never cleaned up her room. This book is funny and sentimental. It brings back memories of our own great teachers of the past, the ones who valued imagination over order. The pictures go well with the text. I especially liked the mature apple tree growing in the middle of the classroom. A clever little mouse escapes from various predators by convincing them that a creature (that Mouse invented ), the Gruffalo, is nearby. What a surprise Mouse has when he actually meets a real Gruffalo. 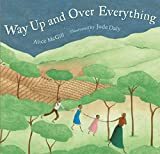 This book is one of the best rhyming books that I have read in a long time: when a good poetry tells an interesting story, you can't really go wrong reading this book. An old house sits abandoned, waiting for a new family to move in. It fears it will be torn down. It is quite rare for an eighty year old book to not only be readable, but relevant and interesting. 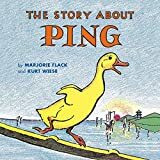 Ping, a duckling, tries to avoid a punishment by venturing out into the real world. In the end, of course, he finds the real world quite a bit harsher than a spanking on the rear. This is an advanced read aloud picture book. It contains a wealth of ideas relating to history, sociology, and science. In fact, if you fully explain this book, you kid can skip a few grades in elementary school. A boy, Wesley, decides to start a new civilization, based on a staple food crop he plants. His plant turns out to be amazingly useful, providing for his every need. Hawkes' paintings are superb. The true story of Philippe Petit's 1974 tightrope walk between the Twin Towers of the World Trade Center. The story, and Petit's courage are inspiring. The pictures and text are superb. A very clever, lint free, love story between a sock and a mitten. In the end they are s-mitten. Julie's grandpa tells her about his experiences when he came to America. His enthusiasm for the Land Of The Free, where the streets are paved with gold, causes him to embellish his stories, a little. For example, he tells Julie that when he came to America, he received a castle on Hester street, so high that pigeons couldn't fly up it. Actually he shared an apartment with 3 others. The illustrations are wonderful. Lily is a mouse who loves her teacher. She wants to be the flower girl at his upcoming wedding, only he has already chosen his niece. This book, along with most of Henkes's other books are witty, humorous, subtle, and interesting. Lily loves her new teacher so much that she wants to be one when she grows up. When the teacher has to discipline her, she of course, changes her mind and writes her teacher a harsh note. This book, along with most of Henkes's other books are witty, humorous, subtle, and interesting. A little boy doesn't want to give up on his security blanket. The parents try everything the next door neighbor suggests to break the habit. A touching story about a boy's experience when his father (divorced) comes for his weekly visit. Clancy is a cow who is born looking different from his herd. He becomes an outcast. He is different because he is missing a white stripe about his stomach. It turns out that his mutation is what saves his herd, later on, and he becomes the hero of his herd. The story is both touching and educational. It could lead to a discussion on the theory of natural selection. By day, Art Dog is just a regular dog at an art museum. But once every full moon, art dog turns into a graffiti artist. This book is clever and original. 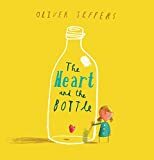 A young girl loses her grandfather and finds it easier to store her heart (feelings) in a glass bottle rather than to deal with the feelings. In the end, a child shows her how to break the bottle. Mr loved books. Every day he would write a little bit of his own book, until one day when his world fell apart. After wandering around, aimlessly, one day he looks up and sees a woman who is being flown by a flock of flying books. Looking at Lincoln is a simple biography of Lincoln told in short prose with some very nice illustrations. It is different from other young-child biographies because conveys the essence of the great man in a way a young child can understand. An immigrant family has a little trouble with the customs relating to American birthday parties. You can learn a lot about our culture through the eyes of an immigrant. Did you know that someone's job is to change the lightbulb at the top of the Empire State Building? This story book is inspired by this very job. Once every two years the bulb needs to be replaced. It is told through the eyes of the workman's daughter. Library Lion is one of my favorite picture books. The dimensions of the book are quite large (as picture books should be), and the illustrations are excellent. The writing is excellent (prose) and it tells a subtle story about friendship, and about rules that sometimes need to be broken. Library Lion is a lion who loves the library. In particular, he loves story-time. However, being a lion, he gets a few stares around the library and is not made welcome by all the librarians. A boy and his father enjoy hiking, searching for the mythical bigfoot. At school, kids make fun of him, telling him that bigfoot doesn't exists, but that is not important. The important thing is that he enjoys the search with his dad. An origami master meets a bird who can do origami better than him. Tells the true story (with some fictional elements) of Henry Brown, the slave who mailed himself to freedom. The text is good, but the pictures are phenomenal. I particularly liked the way the artist drew Henry, while in the box, so we could see him on the inside. An excellent introduction to slavery. This book is a translation of an original Chinese version. It tells the story of a girl who is losing her vision. The pictures and text show how she imagines the world she can not see. I find Liao's pictures imaginative and thought provoking. The text is extremely deep, and emotionally moving. This book is a translation of an original Chinese version. A blue stone is cracked in half, and one half gets sculpted into various different objects (in decreasing size). All through the stones life, it yearns to go home to its other half. I find Liao's pictures imaginative and thought provoking. The text is extremely deep, and emotionally moving. Robot, old and with a broken heart, is left in a junk yard after being deemed unfixable. A bluebird, on its way south, tired, spends the night in the space where the broken heart would be. Together they journey south. The Shivers are a family of fridge magnets who are trapped inside a fridge. They dream of a warmer place. The writing is both clever and funny. It is amazing that anyone could write a good stories out of a few words and a few pictures. Marshall does so. This collection contains all of the George and Martha stories. Most are very simple but contain some sort of life lesson. I guess that what makes these stories so good are they they are so, so simple, yet at the same time contain substance. Most of all, they are stories of love between two friends. Look at the front cover of this book. Do you see the outline of an animal somewhere, hiding. You may not see it at first, but there is a lizard formed from the space between the leaves. Frieda is terrified of everything. Everywhere she goes she sees things that look scary but turn out to be her imagination (with the help from some really subtle artwork). In the end, there really is something scary but by then, no one believes her. An old American slave folk-tale about a group of new African slaves who fly away from their cruel masters. Fifteen of Robert Munsch's most popular picture books, including one of my favorites: The Paper Bag Princess. 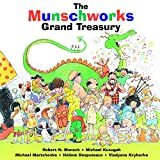 Munsch is very different from other kid's writers. He has a strange, twisted sense of humor. 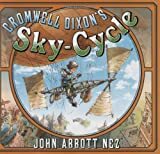 The true story of a 14 year old boy who built a bicycle powered hot air balloon. The story is simple, but what is really neat about this book is how it introduces Chinese writing. The symbol for a river is a curved line next to two straight lines. The author superimposes the symbol over an illustration of a river, and one sees the logic behind the symbol. A stork gets knocked in the head and delivers the wrong baby animals to the wrong parents. Set it rhyme and telling a nice story, it compares to Dr. Seuss. A tall tale about an actual firefighter, Mose Humphreys, of the 1840s. 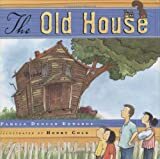 The story is exciting and touching, and deals with Mose's death in a clever manner, appropriate for a preschooler. The illustrations are also wonderful. A very funny book, with extremely funny illustrations. Officer Buckle preaches safety tips, and his dog Gloria performs some hilarious tricks to emphasize the tips, behind Buckle's back. The best pop-up book I have ever seen. Let's just say that, when done correctly, you can scare an adult by making a dinosaur pop out of this book. It contains a wealth of information and the countless pop-up figures really bring the dinosaurs to life. A child inventor, desperate for a good show and tell item, invents a machine that converts an object to one of its anagrams. For example: his aunt turns into a tuna, peas turn into apes. The book is filled with clever anagrams that amazingly fit the story. A young boy loves to tinker, invent, and fix things. Unfortunately, for the past couple of months he has been having a nightmare. The main story is a fantastic adventure, but on the last page, you see the true reason for the nightmares. The pictures are amazing and creative. A classic lesson: if you can't beat them, join them. 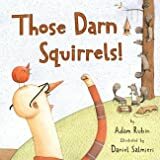 A very funny and entertaining story about a group of squirrels determined to steal food specifically set out for birds. This collection is the best possible present you can buy a 3 year old. It contains 44 classic picture books, in their entirety (though the pictures are shrunk). It contains Madeline, Where the Wild Things Are, Curious George, and many other great picture books. It is also a good book to take with you on a vacation. A collection of six Dr. Suess favorites. This one contains my two favorite stories: Yertle the Turtle, and Horton Hatches the Egg. The pictures in this book are unbelievably creative. A little girl is embarrassed by her love of lima beans. In order to fit in, she abstains from them. This causes her to develop a bad case of the stripes. A little boy grows up hungry and poor in Eastern Europe. Instead of buying food with a few newfound coins, his father buys a map of the world. Can dreams fill an empty belly? A neat book that shows the power of dreaming. A story of how a tree loves a boy, and how a young boy, and an old man love a tree, back. I think this is Steig's best story, though almost all of his stories are wonderful. It's a story about family love and loss. Sadie is an air mail pilot. She flies through storms: 'No wind, no rain, no cold or flu, Can stop the Air Mail getting through.' The story is exciting, but what struck me about this book are the pictures. They have a sort of cartoonish realism, with an amazing amount of detail. I particularly liked the pictures with the city at night with thousands of little tiny lit up windows. At Otto's sixth birthday, he wishes that he didn't have little baby sister. In a weird way, his wish comes true: time reverses and he grows down, getting younger and younger. Everyday activities are experienced in reverse, including going to the bathroom (while it is a bit disgusting to fathom, it really shows the thoroughness of the author. In a rundown section of New York City, the people of an apartment building decide to clear away a yard filled with junk and make a vegetable garden. Little Marisol plants a sunflower seed that grows to be enormous. Of course, the sunflower eventually dies, but in a sense, it lives on for long after. It reminds me a little bit of the Chalk Box Kid by Bulla. 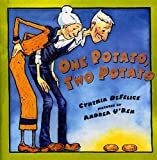 Van Allsburg is a really famous picture book author and illustrator. Many of his books have inspired movies. I like all of his work, but The Widow's Broom evokes the most emotions, for me. When a book doesn't evoke emotions, it is hard to re-read it many times. Go to your local library and check out all of his books. 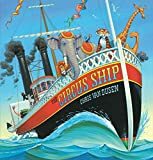 Very, very loosely based a true story, 15 circus animals escape from a sinking ship and find refuge in an island. This book contains very few words. The story is told from the wonderful, clever pictures. A boy finds a magical camera that has captured many fantastic wonders of the sea. At the end of the book, the boy sees a picture within a picture within a picture, within a picture,... that shows all of the people involved with the camera, from the first owner, to the boy who finds it. 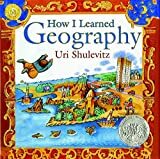 This book was the first word-free book that I enjoyed. A googel is the number that starts with a one, followed by one-hundred zeros. The book tries to convey how ridiculously large this number is. Along the way it explains other, not so big, numbers. A poor family saves up money to buy a comfortable chair that the mother can sit on after her hard day's work. 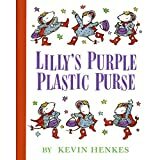 A good book to introduce poverty to young children. A true story of a hawk who moved into a penthouse on fifth avenue, NYC. As you can guess, the human penthouse resident didn't exactly like sharing his porch with a hawk, and a really public battle ensued. I love this book, but my DaddyRead-Co-Conspirator didn't. I guess it depends on whether you grew up going to garage sales, and picking out those 'lost treasures' that people through out.